Big Data and Machine Learning London Meetup: The Movie! Mark Whalley gave this presentation and created the movie. 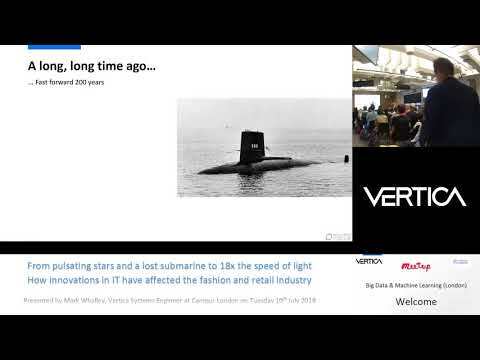 Vertica's own Mark Whalley talks about the advantages of a columnar database like Vertica for analytics and machine learning, and provides some use cases in fashion and retail to show how it works.